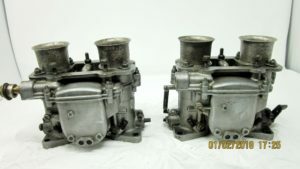 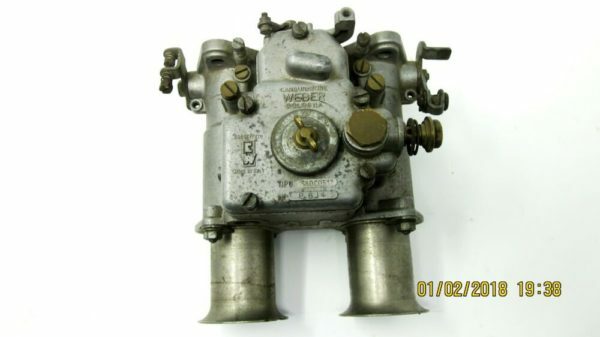 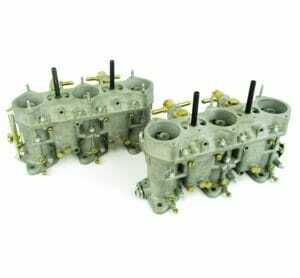 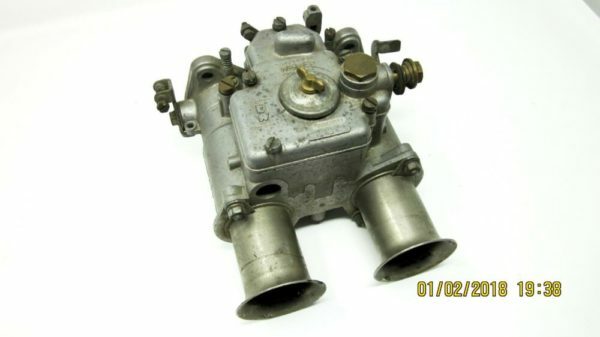 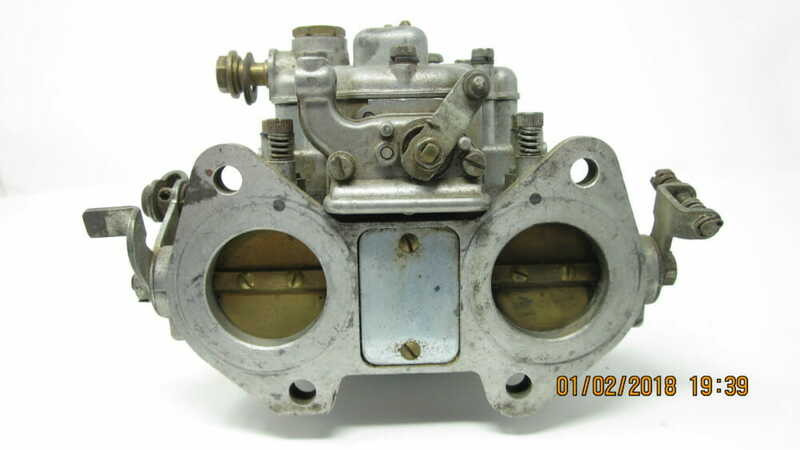 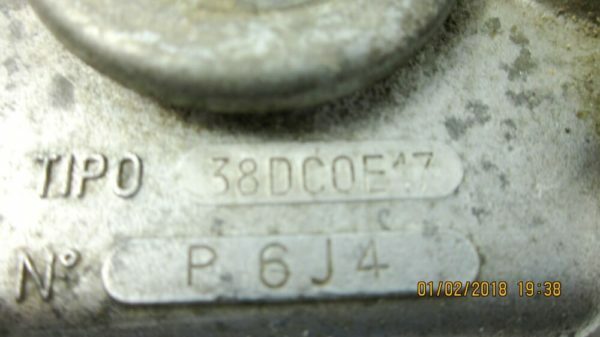 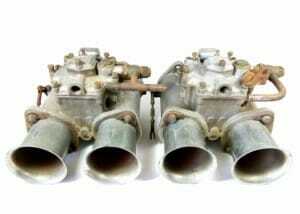 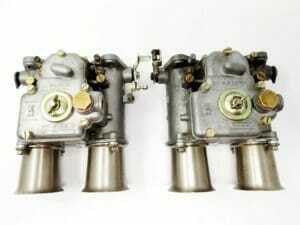 WEBER 38 DCOE 17 Carburettor. 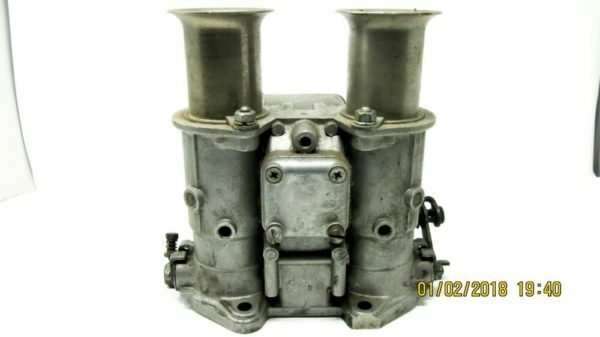 Original Equipment on Fiat 2300S Ghia Coupe Classic cars. 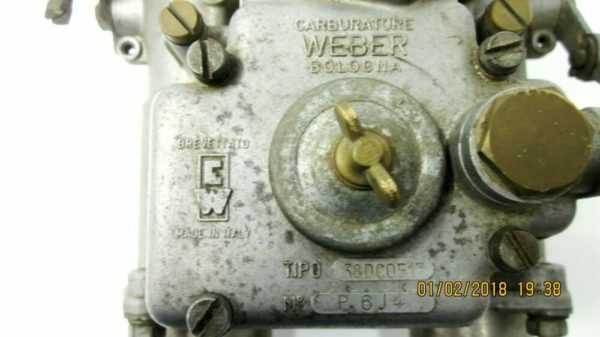 This offer is for an original, complete, Made in Italy item, as shown in photos. 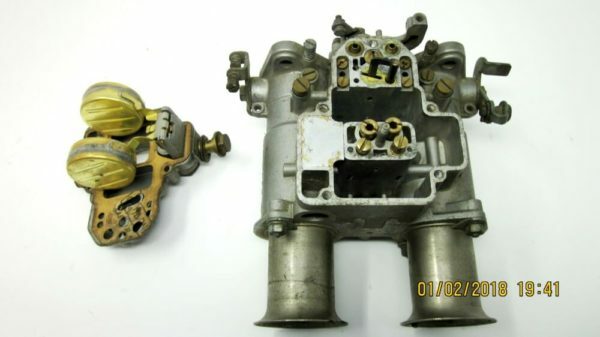 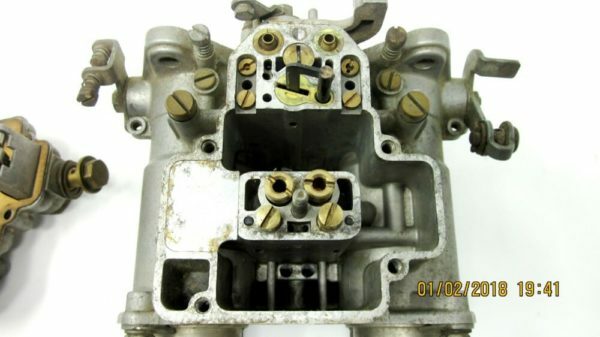 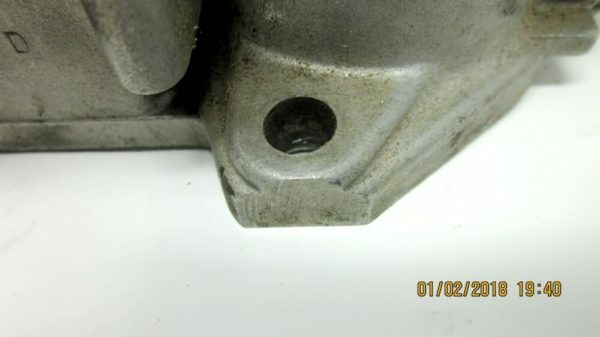 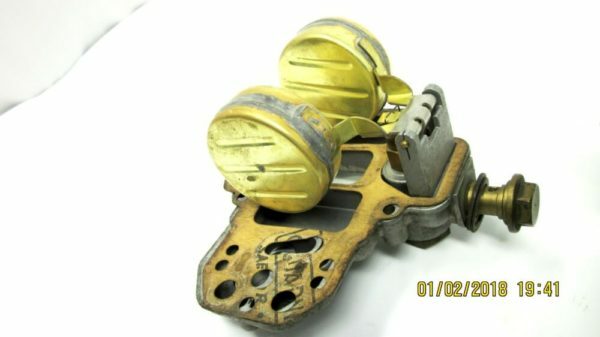 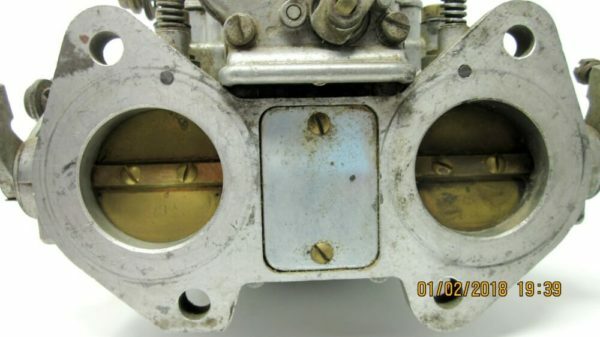 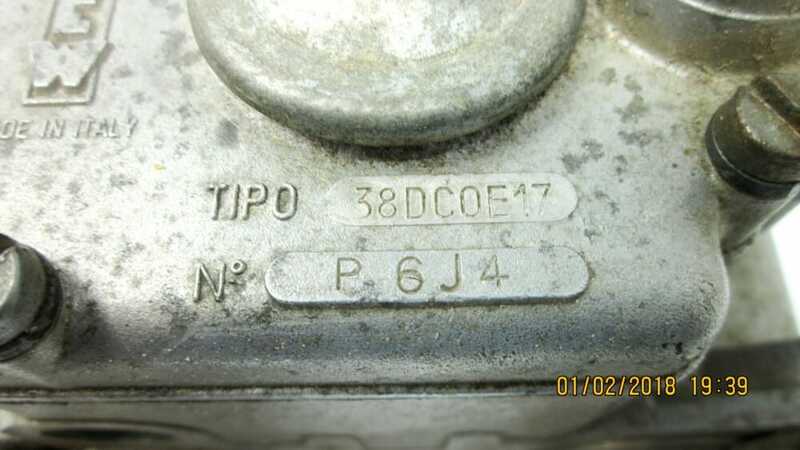 The only negative issue with the carburettor, is that someone has filed an edge of the mounting boss/casting (see photo) and replaced 2of4 bottom lid cover screws with non-original items. 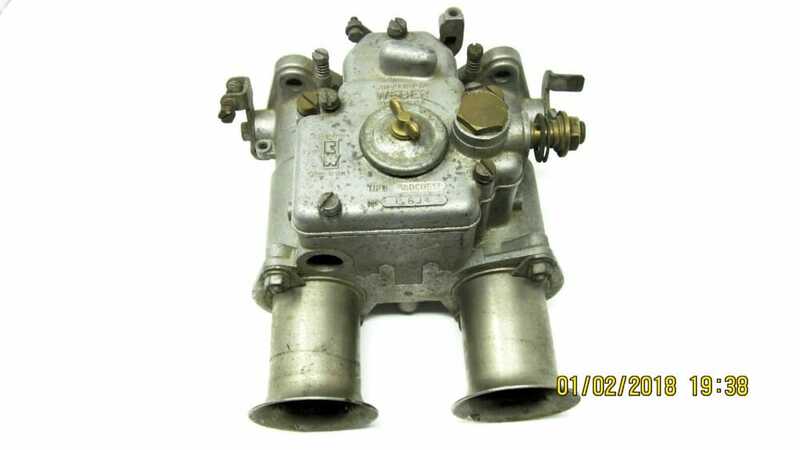 The carburettor is offered here for restoration purposes, or for it’s parts only.